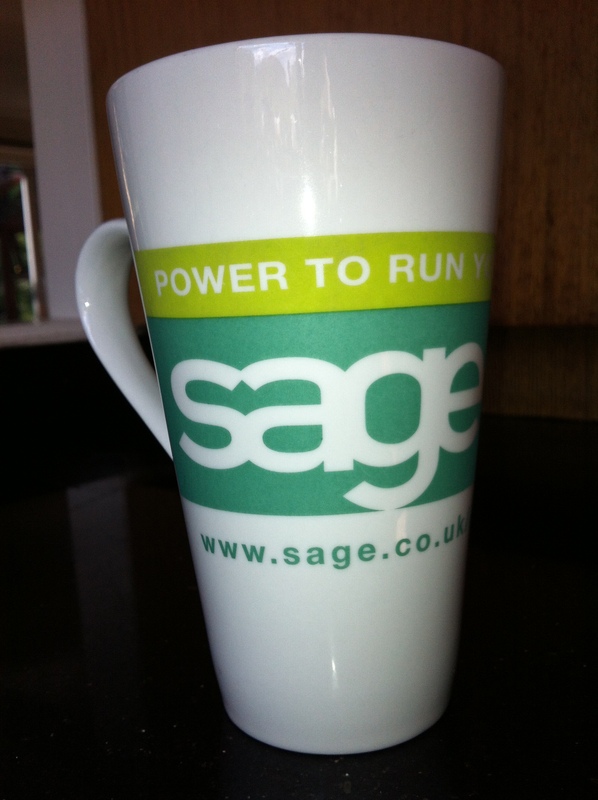 Mugspotters is very proud to present our first ‘Latte’ designed receptacle courtesy of Sage Business Software. The high-quality image beautifully showcases the two-tone green on white design and the sheer size of the mug means it even trumps the ‘Jobwise-Marrow’ for a truly voluminous beverage experience. Perfect for Business Professionals and/or caffeine dependants. Hot-foot over to www.sage.co.uk for all your business software needs.